If you need help choosing and maintaining your flooring, check out some of the useful tips below. Bathroom flooring needs to be waterproof, slip-resistant and easy to clean Pick flooring that won't get damaged or marked by water splashes. 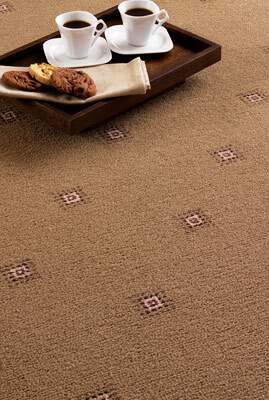 A patterned carpet will bring interest to neutral living rooms, but if it's staying power you're after, then a neutral carpet is the way to go. In a hard-working room, such as a kitchen, the flooring must be ultra-practical. Vinyl is the perfect choice - it's water resistant, warm underfoot and less likely to break a dropped glass Other brilliant buys include Karndean vinyl tiles that give the appearance of slate, ceramic, stone, wood and others types of natural finishes Dark flooring is less likely to show up marks and will create a striking contrast when teamed with pale units.